Welcome back to another great Tasty Tuesday! 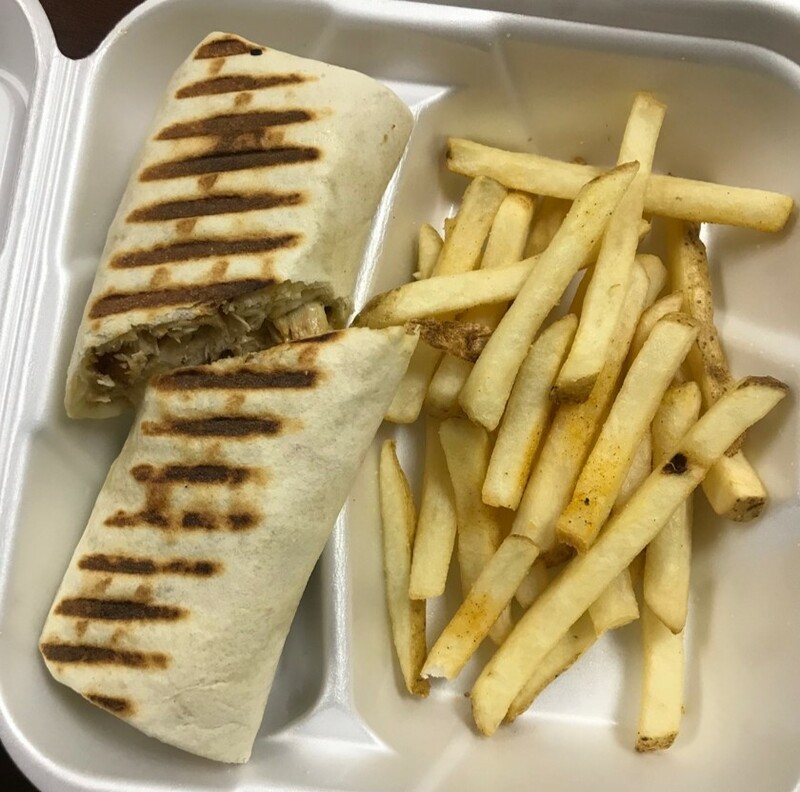 This week's featured restaurant is Jasmin Mediterranean Bistro! 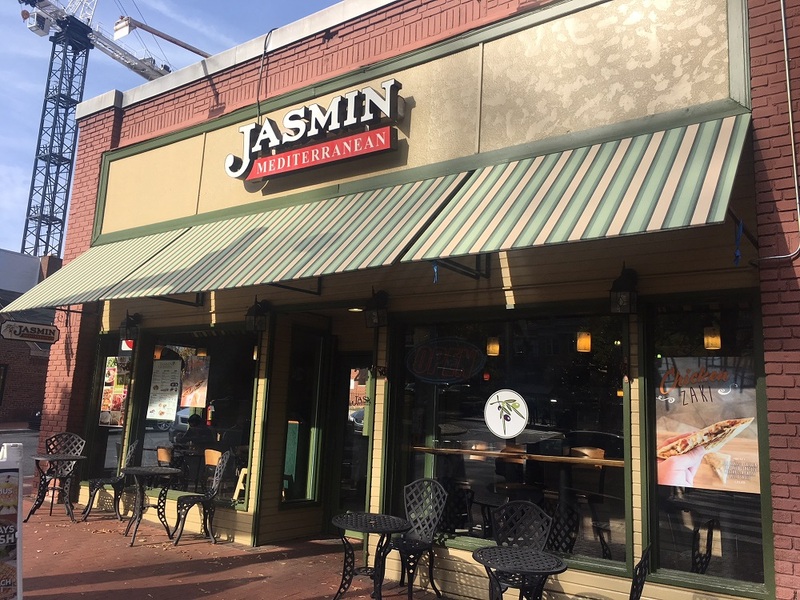 Jasmin is a delicious Mediterranean style restaurant with two locations on Hillsborough Street. One is across from Meredith College, located at 3801 Hillsborough Street, and the other is located at 2430 Hillsborough Street. Their menu has a variety of different options and many healthy alternatives. 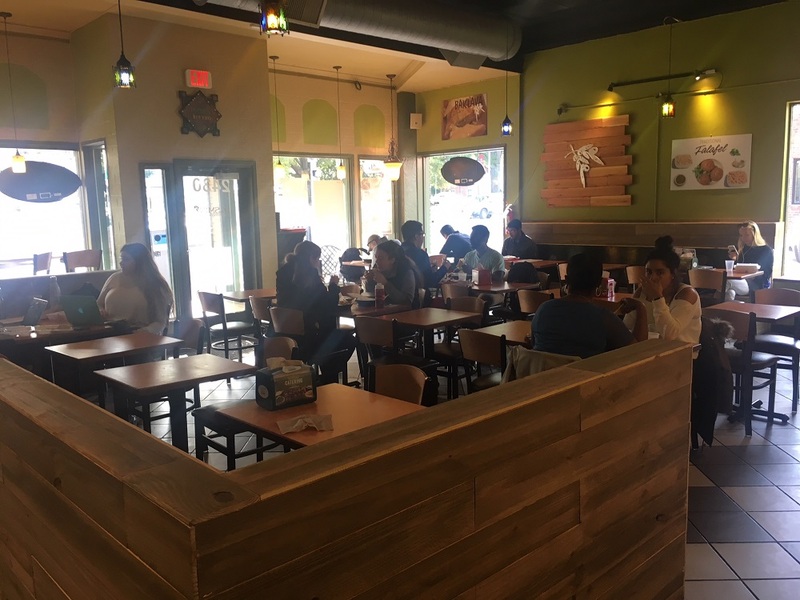 They offer paninis, zakis, pitas, salads, bowls, and platters! All of their options are customizable. Jasmin is always a popular lunch destination, but the line is usually quick. Jasmin was recently renovated, so the interior is nice and clean with a rustic look. Once you walk in, you go up the line and order your main entree. The bar is set up with all the toppings and choices so you can pick and choose what you want. This is where you can customize your entrees and sides! Your food is brought out to you very fast and it is always warmed to perfection. I always order the Pesto Chicken Panini because it is my favorite! It comes with sundried tomatoes, chicken, cheese, and pesto sauce all packed into a delicious panini. I also added a side of fries to my order. You could switch out the fries for a healthier option, like a salad or pita chips and hummus. Jasmin offers combos that include an entree, a side, and a drink for less than $10. Jasmin has many healthy options and they all taste great! Jasmin is open Monday to Friday 10:30 a.m. to 10 p.m. and 11 a.m. to 10 p.m. on the weekends. November 14th is World Diabetes Day, so come out to Jasmin Mediterranean Bistro for a delicious and affordable meal that will keep you healthy!